A complete Marketing automation platform to directly connect and engage with your customers. Key capabilities include email marketing, surveys and forms. Available on-premise or hosted. Direct Customer engagement using email and surveys at scale. 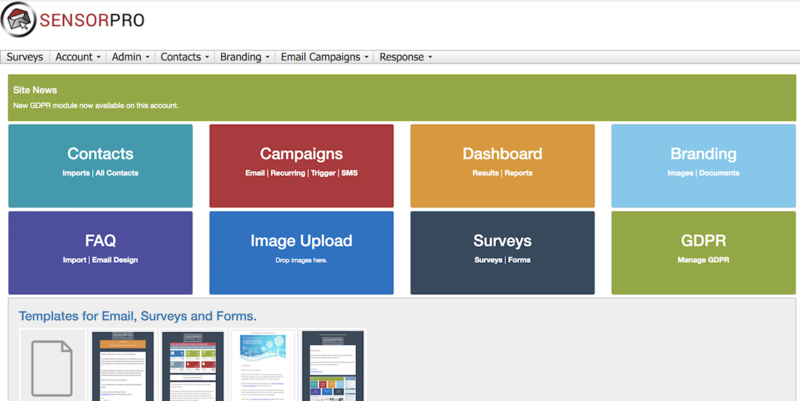 Easily act on campaign metrics like email opens & survey responses. Familiar and easy to use tools for your Marketing team. High-volume email sending & survey response collection. Robust security with role management & encryption options. Marketing automation tools that increase productivity & agility. REST API options to integrate with business tools you already know. Help meet GDPR & CCPA requirements. GDPR module with signup forms in multiple languages. Subscriber dashboard shows all key metrics. Manage hard bounces & opt-outs. Easy to use drag & drop editor with templates. Email personalization & dynamic content. List segmentation using contact data or campaign metrics. A/B Split Testing for email campaigns. Schedule email & SMS sending. Upload & manage PDF documents and images. Resize, crop and manage images. Campaign metrics show opens, clicks & location at subscriber level. Export campaign metrics as PDF. Sender reputation tools for DKIM, SPF and DMARC. REST API endpoints for contact management & email sending. Drag & Drop survey editor. Epicor ERP, E9, E10, iScala, ITSM & Cloud. Listed as Sensorpro Customer Experience Marketing (CEM) on the Epicor sales system and part no 81320-000-002 on the Epicor EQC, Sensorpro is available directly from your Epicor account manager. Learn more about Sensorpro on the Epicor Alliance page. GDPR is important to our pan-European deployment. 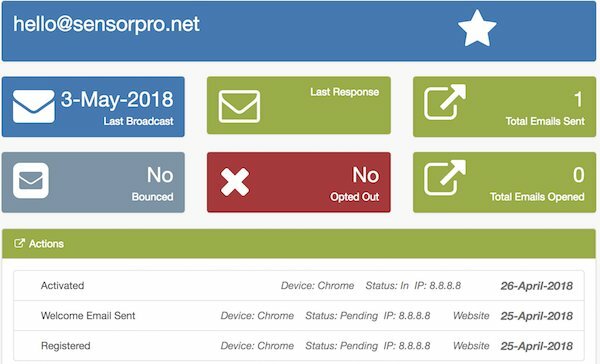 The Sensorpro GDPR capability with multi-language Signup forms & Subscriber activity dashboard are important tools that help compliance requirements. Sam Giles, Applications Analyst, WD40.